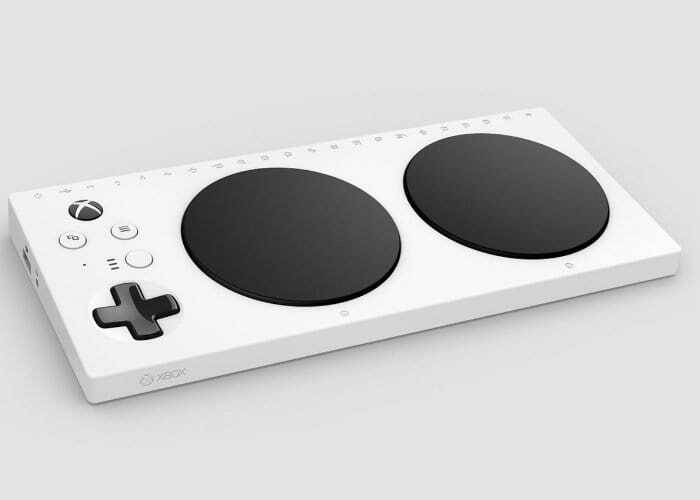 Twitter user WalkingCat has this week leaked the first images of a new Microsoft Xbox controller specifically designed for accessibility. As you can see from the image above the new Xbox controller includes two oversized A and B pads, a d-pad, and the usual Xbox button and navigation controls.The new Xbox accessibility controller is expected to be officially unveiled during next month’s E3 2018 games conference. Expect more details to be announced during Microsoft’s E3 2018 keynote which takes place next month on June 10th 2018. As soon as we hear any more details regards pricing and availability we will keep you up to speed as always.